If you want to view Adobe Flash content in your Android mobile phone, then the best option for you is to use Dolphin Browser. 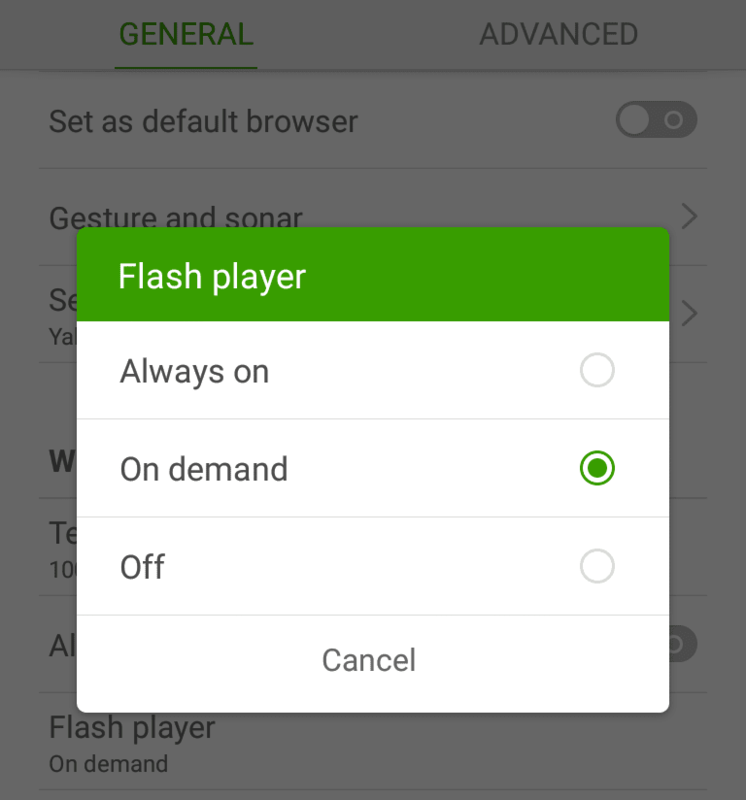 It supports flash content in websites after you download and install the flash player for Android devices. All you do is install Dolphin Browser, install Adobe Flash for Android, and activate the feature back at the browser. Rooting or flashing with custom ROMs is not required. This simple technique works up to the latest version of Android i.e. Lollipop. Even though Flash has been removed from the Google Play Store and the support for it is slowly diminishing, there are still some websites that require it. Video websites and streaming websites still use it for their content. You can still view such websites powered by Flash in their original form. In your Play Store, search for, install and open the popular Dolphin Browser. Open http://dolphin.com/lab/en and download and install Flash Player which is listed on the top. An APK file will download, which you must install separately. Tap on the Dolphin icon present in the bottom-center of the browser. Scroll down to Web Content, and tap on Flash player. Make the changes to say either Always on or On demand. Tap on the bottom-center dolphin icon again and then visit Settings. Switch from General to Advanced settings tab. Under Customize heading, you will find User agent. Change it to Desktop.